Philosophy for busy people. 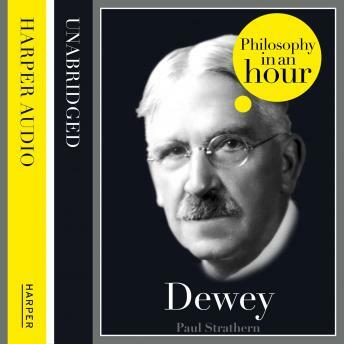 Read a succinct account of the philosophy of John Dewey in just one hour. In early twentieth-century America John Dewey was regarded as the foremost philosopher of his age - no mean feat when his colleagues included the likes of Russell, Wittgenstein and Heidegger. Dewey produced a distinctly American philosophy, essentially different from that of his European contemporaries - his pragmatic theory of 'instrumentalism' or 'experimentalism', relying on modern experimental methods to prove truth and reality. Dewey saw the ultimate reality as being nothing more or less than that which we encounter in everyday life - there is no mystery hidden within. Here is a concise, expert account of Dewey's life and philosophical ideas that is entertainingly written and easy to understand. Also included are selections from Dewey's work, suggested further reading and chronologies that place Dewey in the context of the broader scheme of philosophy.